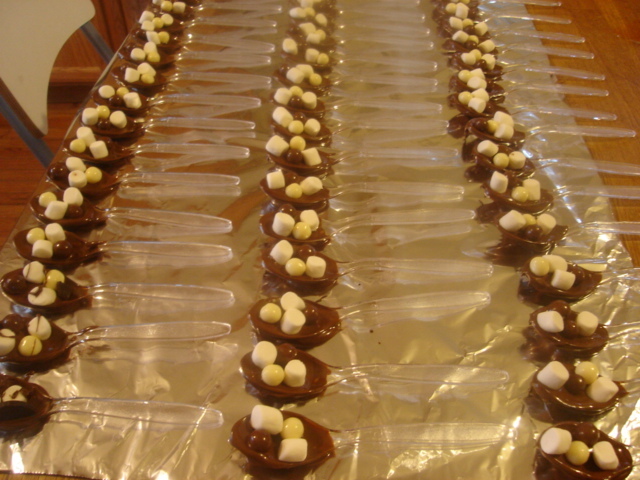 Presentation of chocolate spoons. Ready for gift giving! You’ve seen them in fine chocolate shops for $15 for 5. Now it’s time to make them yourself. They are easy and yummy and everyone loves to get them to dip in their coffee or hot chocolate. Watch out for those sneaky people who nab a spoon to snack on. Godiva and Williams Sonoma??? Eat your heart out! 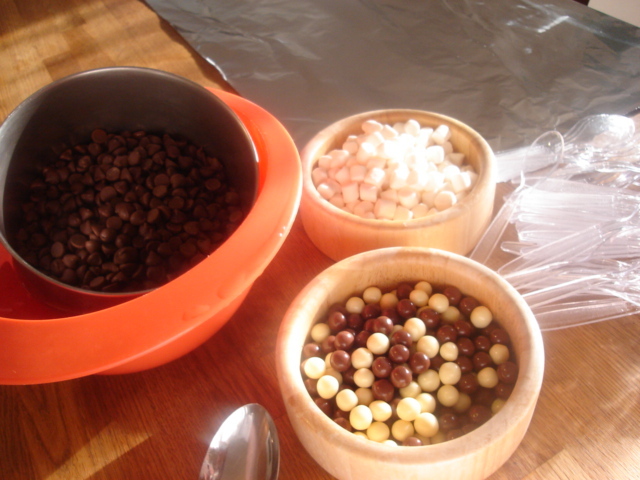 4. little candies that go with coffee, milk or cocoa. Put chocolate in a pot and put that pot in another larger one filled with hot water. 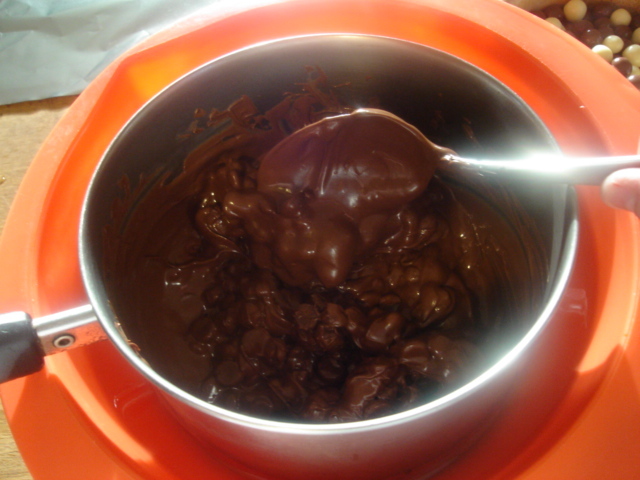 Stir the chocolate as it melts. When the water cools down you may need to replace the hot water to keep your chocolate melted and smooth. 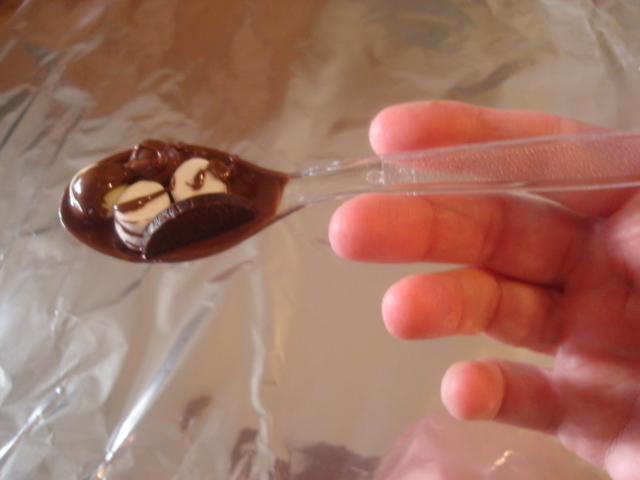 Coat the spoon with the melted chocolate. After you have coated the spoon in chocolate stick on a couple of mini marshmallows and candies of your choice. I used baby malted balls and white chocolate,and half a chocolate coin. 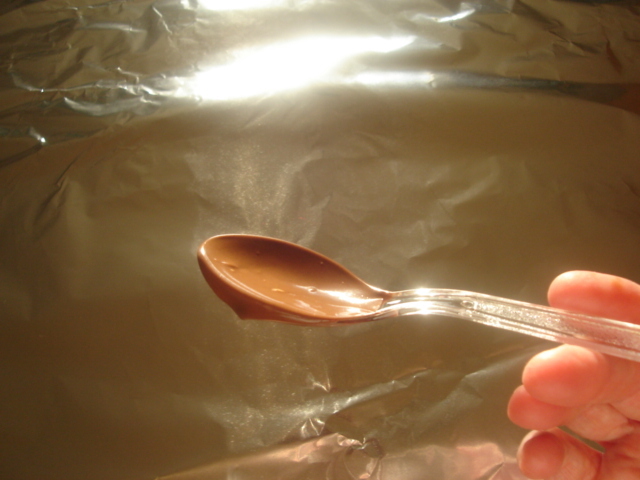 Let the spoons cool and the chocolate become firm before wrapping. You may need to refrigerate them briefly. 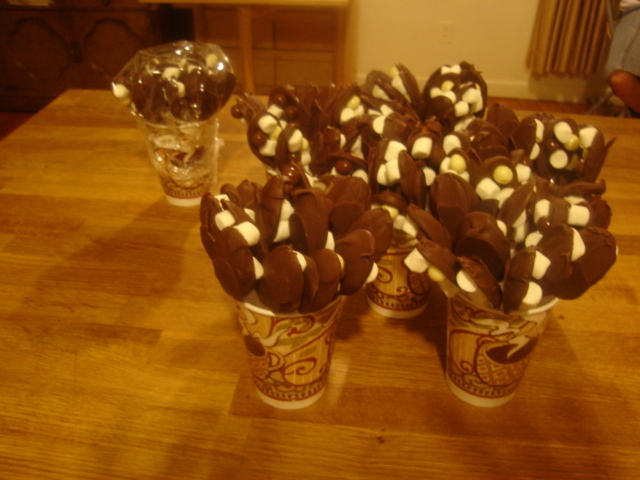 Present the chocolate spoons in a pretty coffee mug. You can stuff a bunch in or put just a few and tuck a couple of envelopes of instant hot cocoa in with them.